CheckVideo, The Managed Video Security Leader, announced the Security Industry Association (SIA) has selected its HD Analytics Gateway as the winner of the New Product Showcase competition in the Hosted Soutions category. In addition, the same CheckVideo product was named on September 11th as the New Product of the Year, also in Hosted Solutions, by Security Products magazine. The SIA awards recognize the year’s most innovative products, services and solutions in the industry. The HD Analytics Gateway won the competition with other hosted solutions, judged the most innovative, applicable, flexible, affordable and useable in today’s rapidly-evolving intelligent video solutions landscape. The Security Products New Product of the Year Award, in its seventh year, honors the outstanding product development achievements of security equipment manufacturers whose products are considered particularly noteworthy in their ability to improve security. 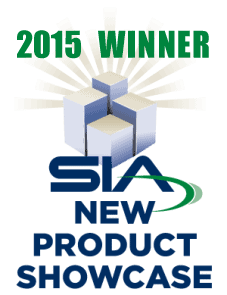 Please click HERE for more on the 2015 SIA New Product Showcase at ISC West, and HERE to read more about Security Products’ 2015 New Products of the Year. 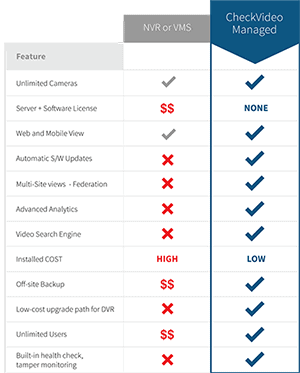 Along with CheckVideo’s all-new CloudVMS™, which provides 100% of CheckVideo intelligent solutions management, the HD Analytics Gateway allows standard definition to ultra-HD analytics processing of up to 16 IP video channels, secure Cloud backup of all relevant clips and instant video search. Additionally, the Gateway can receive IP video feeds from almost any IP camera that utilizes the H.264 protocol and is RTSP-compliant. This allows integrators, dealers and ultimately end users, the maximum flexibility in their selection of IP video system components. The HD Analytics Gateway is available to ship immediately to security dealers. For more information and to order, please click HERE to contact CheckVideo directly.